Located about 35 minutes south of San Francisco between a redwood forest and white sandy beaches, Half Moon Bay is a small coastal town that celebrates the harvest season big time. 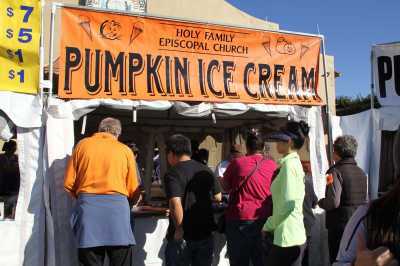 The Annual Pumpkin Festival features pumpkin-related games, food and beverages – for all ages. Local growers produce more than 3,000 tons of pumpkins each year, prompting this seaside community to market itself as the pumpkin capital of the world. Before, during and after the festival families can pick the pumpkins of their choice from a cornucopia of farms located along Highway 92 and Cabrillo Highway (Rt. 1). Many of these farms also offer hay rides, petting zoos, pony rides, corn mazes and other fun attractions. 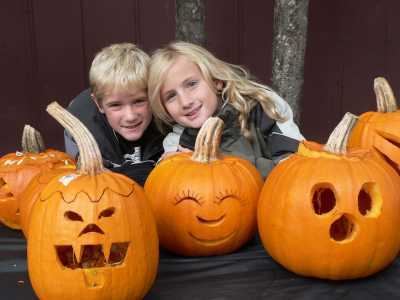 Harvest-inspired crafts, expert pumpkin carvers, the Great Pumpkin Parade, a thrilling haunted house, a pie-eating contest, pumpkin carving and costume contests take place from 9 a.m. – 5 p.m. Oct. 19 and 20 on Main Street. 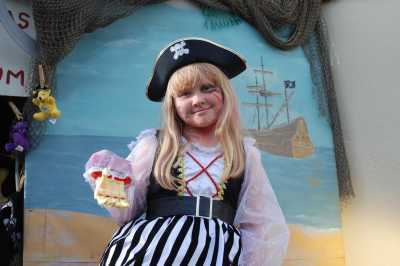 Those who enjoy spirited fun can spend the evening with ghosts, goblins and ghouls at the 11th Annual Haunted Hostel Halloween at the Point Montara Lighthouse Hostel Oct. 26. This spooky but family-friendly event features games, crafts and live entertainment. Harley Farms, home to award-winning goat cheese, is offering its special Pumpkin-Spice Fromage Blanc, a low fat, creamy textured cheese through the holidays. Voted the “Best Bakery in Half Moon Bay,” Moonside Bakery and Café is the place to go for pumpkin pie, pumpkin parfait, pumpkin cheesecakes, cookies, pound loaf, croissants, bread puddings, French macarons and even pumpkin pancakes. Autumn means it’s time for Pumpkin Harvest Ale at the Half Moon Bay Brewing Co.
a handcrafted ale available through Nov. 30. Cheers!